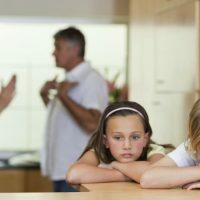 When a marriage or a relationship breaks down it is very often and unfortunate that the children are caught in the middle. We understand that both parents want to do their best to ensure that the children are protected from the breakup and that their lives are disrupted as little as possible. We appreciate however that at times parents find it difficult to reach an agreement about where the children should live and how much contact the children should have with the other parent. Here at Advantage Solicitors we are able to advise parents about Parental Responsibility and Child Arrangement Orders (formerly known as residence and contact). We are able to correspond with your ex partner or spouse about children matters with a view to hopefully agreeing matters amicably, as quickly as possible and as cheaply as possible. If matters however cannot be agreed we can advise you about your options and the way forward. Unfortunately at times it may be necessary to make an application to the court in order to resolve children matters. Here at Advantage Solicitors our family team has years of experience in dealing with children matters including court proceedings. We also advise client’s about making emergency applications to the court – these are usually injunctions. We can apply to the court for an injunction called a Prohibited Steps Order to prevent for example a parent removing a child from the UK. We can also apply on an emergency basis for an injunction called a Specific Issue Order when a parent wishes to obtain the court’s consent for example to take a child abroad. In other words the Prohibited Steps Order stops a parent from carrying out a particular act and the Specific Issue Order allows a parent to carry out an act. Prohibited Steps Orders can also be used to prevent a parent from removing a child from the other’s care. If for example a parent has threatened to take the child and not return him or her then an application for a Prohibited Steps Order can be made. If a child has however been taken then an emergency application can be made to the court for a Specific Issue Order for the child to be returned. The court will also usually attach a penal notice to the Order which means that if the parent does not abide by the terms of the Order i.e. does not return the child then that parent can be arrested. 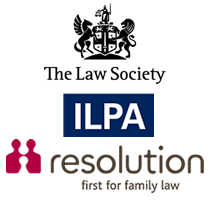 We are also able to advise on more specialist matters such as adoption, surrogacy and Special Guardianship Orders. The rights grandparents have are not so clear-cut as those of mothers and fathers but if you are experiencing issues seeing your grandchildren and spending time with them, we can advise you on the best course of action and whether you may be able to make a Court application. Grandparents who have enjoyed consistent contact with their grandchildren can apply to Court for permission to make an application for child contact under the Children Act 1989 (whereas parents generally have an automatic right to make these applications.) We can advise you on the strength of your case and negotiate robustly on your behalf with the mothers and fathers involved. You might feel helpless in this situation but Advantage Solicitors will advise you on what your rights are and assist in making your voice heard. For financial related matters, where children are not involved please see our financial settlements section, where you will you can obtain more information regarding divorce settlements.